So, if you’ve found your way to this blog, by now you know that I have an essay in the amazing anthology put together by GCC Members Carrie Jones and Megan Kelley Hall. 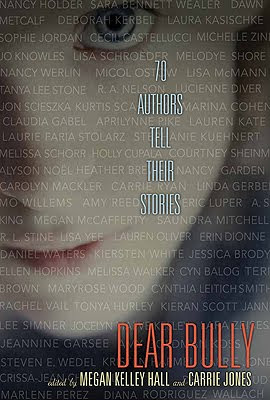 Corralling 70 authors to put together a book of this nature is no easy task, and Megan Kelley Hall tells us exactly what inspired her to edit DEAR BULLY out this month through Harper Teen. Q: What inspired you and Carrie to put together DEAR BULLY? So when I heard about all the bullying and bullycide stories in the news, I felt like the bullies had jumped off the pages of my book and into real life. I was also disheartened by the numerous times I’d done book signings and would say to readers, “I hope you never meet girls as mean as the ones in my book.” Shockingly, they almost always said, “We already have.” Carrie Jones was also moved to do something, as she was the target of bullying as a young child due to a speech impediment. Together, we felt that we owed it to teen readers to discourage bullying -- to make it "uncool." I started by creating a Facebook page that kicked off an entire "movement" to end bullying. This was the day that Carrie and I, along with other authors decided to use our platform as Young Adult authors to actually facilitate change and to be a voice for those kids who cannot speak out or are too afraid to be heard. Megan: Right away, a large number of authors jumped on board with this cause -- wanting to be involved in any way possible. The Facebook group grew from 5 to 1500 members in one weekend and is now closing in on nearly 5,000 members. 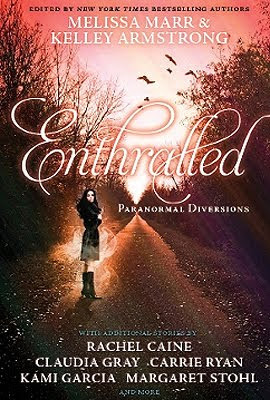 Carrie and I were thrilled when HarperTeen offered to put all of the stories into an anthology. The thought of having 70 authors – well-known, highly successful writers – sharing their personal bullying stories with their fans was something beyond what they had ever hoped for. Q: What are most of the essays about? Megan: The stories come from all angles: from the point of view of the victim, the mother, the friend, the sibling, the classmate – even a few from the actual bully. Some of the stories are light-hearted, while others are raw and emotional. All of them drive home the point that bullying is something that almost everyone has experienced. And while that is a sad fact, they want to prove that it's not a rite of passage. It doesn't make you stronger, wiser, or better. But it is something that can be overcome, something that can be changed, something that is relatable, and something that one should never be ashamed of. Through these stories, the authors want to show that they understand what teens are going through today. It is important to encourage bystanders to speak up and make bullying unacceptable. Parents and adults must get involved. 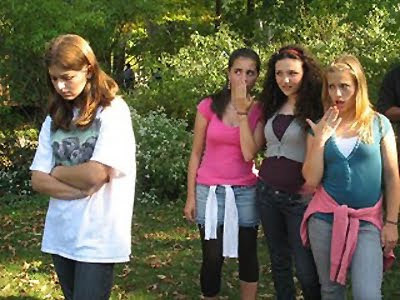 Bullying is something that people no longer have to endure—at least, not by themselves. Q: How can readers get involved in the DEAR BULLY movement? Megan: Join the Facebook page, visit the website, or follow DEAR BULLY on Twitter. Thank you, Megan! DEAR BULLY has been getting a lot of press, you can read more about it in Better Homes & Gardens, The New York Times, The Boston Globe, Glamour Magazine, Seventeen.com and more. Now, everyone go out and buy books, lots and lots of books!